Magic Carpet Cleaning provides cleaning services at a reasonable cost to all households, shops, commercial buildings etc. located in South-East London. Our experts are fully certified and insured. Now you can call now 0208 861 0979 and get an offer tailored to your needs. 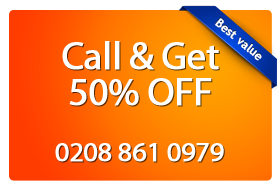 Why book services of Magic Carpet Cleaning in the region of South-East London ? We keep the level of training of our employees, so they pass specific courses that prepare them for any situation. We seek to monitor market trends to offer customized solutions according to your needs. Magic Carpet Cleaning is a socially responsible company that uses green products that are 100% friendly for the environment and you! According to our company policy, we care about your security and we do not use hidden fees in our contracts! Specialist teams deserve our absolute confidence in the complete cleaning of your home, and will remove even old stains. Our cleansing groups will work until you verify that you are 100% satisfied with the results achieved. Ask our specialists in the specific pages for different regions NOW! You will find the best solution for your problems. Steam Rug Cleaning by our experts in sanitation of homes use hot water to kill germs causing allergies. We rely on this method, because its effect is more rapid and more effective than the others. Cleaning detergents are being injected into the carpet under high temperature with the help of special equipment to extract dirt from the tissues. Our cleaning professionals have undergone special training to be able to handle all the tools we use to clean your homes, offices and business buildings. Because of its ability to destroy allergens, the treatment is suitable for families with young children prone to allergies as well as spaces visited by large numbers of people. We recommend dry cleaning of carpets and rugs for all outlets. The process involves placing a cleansing active agent in the form of powder, which is rubbed into the tissues and is sucked by vacuum to easily remove any debris. The result is visible immediately, and visitors can pass immediately after washing. The active ingredients are 98% biodegradable and the absence of water or steam prevents the formation of mold, while protecting the delicate tissues. To remove all stains from your homes and offices using different cleaning acids, alkaloids, etc. our employees have certificates proving their skills and knowledge necessary for handling chemicals. We work quickly and accurately to create comfort in your house. In our work we have cleaned a variety of tissues, acquiring the necessary skills. We’re doing well with dirt of all kinds, including stubborn stains such as coffee, traces of pet urine, wine, food, chewing gum, chocolate, etc. All you need to do to ensure you get excellent clean property, is call 0208 861 0979! Call the experts of Magic Carpet Cleaning at: 0208 861 0979 now and schedule a meeting with magic cleanliness!